Backups are bad. Drain cleaning is the best way to avoid costly damage due to plumbing backups and overflows. When you need drain cleaning and maintenance, Pipe Works Services, Inc. can help. We use state-of-the-art equipment and techniques to remove clogs and keep your pipes and drains clear and trouble-free. 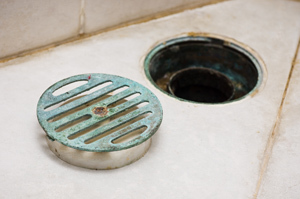 Drains can clog from a single event, such as a child flushing a toy down the toilet. More often than not, drains and pipes become clogged over time by the buildup of mildew and waste materials. No matter what’s clogged your drain, not fixing the problem can leave you with an unhealthy and expensive mess. If you need drain cleaning, contact us today for fast, friendly service. Call or click below to schedule your appointment and get an estimate for drain cleaning in Livingston, Parsippany, Summit or nearby. If you suffer from frequently clogging drain lines, this is probably a sign that the drain needs professional cleaning. A drain that is consistently slow to clear is another indication of a necessary cleaning. We can clear and restore your pipes with our effective water jetting service. Jetting (also called hydro-jetting) is a superior alternative to conventional drain cleaning methods, such as pipe snaking. Jetting removes hair, soap residue, grease and oil buildup, mineral deposits and more. With our advanced jetting technology, we can keep your plumbing running smoothly and prevent future problems. The best way to prevent clogs is to stop them before they start. Once we unclog your drain lines and restore your plumbing, we’ll use preventative techniques to prevent hair, grease, soap scum and more from building up again. Pipe Works Services, Inc. uses a product called Bio-Clean to eat through the gunk, restoring your drain flow to full capacity. The non-poisonous cleaning solution uses a special combination of natural bacteria and enzymes to digest the organic waste found in your plumbing system. We recommend monthly Bio-Clean treatments to keep your drains clean and flowing freely. Maintenance and drain cleaning can help prevent a plumbing emergency, but if you already have one, we’re here to help. We provide emergency plumbing repair and can fix your plumbing problem fast. Prevent the hassle of repeated drain clogs and possible water damage to your home by contacting Pipe Works Services, Inc. for effective drain cleaning. Once a drain clogs or overflows, it’s already too late. Don’t let this unfortunate situation happen to you! Our professional drain cleaning services are the best way to avoid costly and hazardous plumbing problems. We offer complete plumbing services and estimates in Short Hills, Basking Ridge, Florham Park, Berkeley Heights, Millburn, New Providence, Millington and surrounding areas.